Currently performing in Greensward with MAP Theatre Company at 12th Avenue Arts in Seattle! Runs through July 29th. Meanwhile, check out a clip of some beatboxing Jason did for An Improvised Hip-Hopera with Unexpected Productions which also performed in the Alaska State Improv Festival in April. Enjoy! 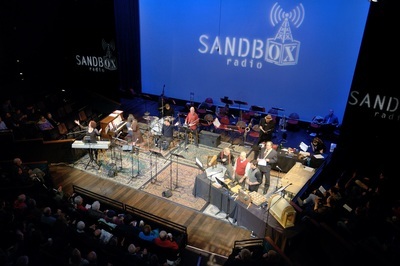 An episode of Sandbox Radio Live! THE WORDS AND THE BEES! The writing partnership Jason co-founded with Daniel Flint and Frank Lawler, One Lump or Two Productions (The Elsinore Diaries, Holiday of Errors) is working towards mounting a full production of their newest play....Blood Pudding and Haggis: The tragicomedy of the writing of Macbeth. 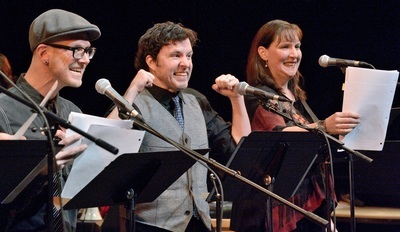 They held a staged reading in the spring 2012 at the Center House Theatre as part of Sound Theatre's MAKING WAVES series. It was greeted with a terrific response and lot's of great feedback. Just when Shakespeare thought he could rest in peace, comes another scandalous episode the Bard never wanted us to see: Blood Pudding and Haggis. From the twisted minds that exposed Hamlet in The Elsinore Diaries, comes this irreverent comedy about the writing of Shakespeare’s tragedy, MacBeth.